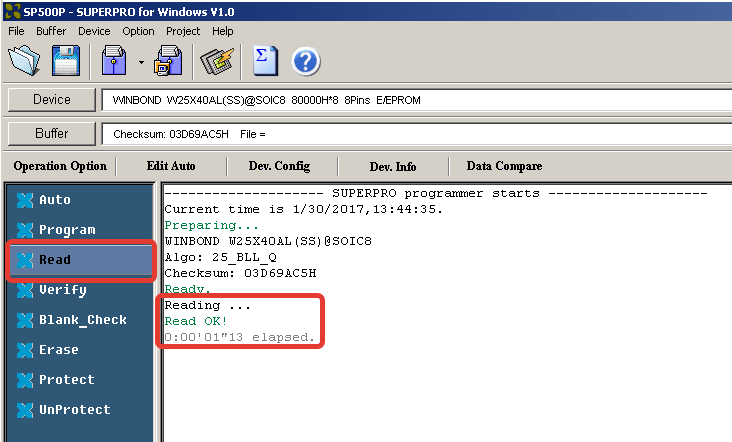 Sometimes you can’t read ROM via PC3000 due to PCB damage. 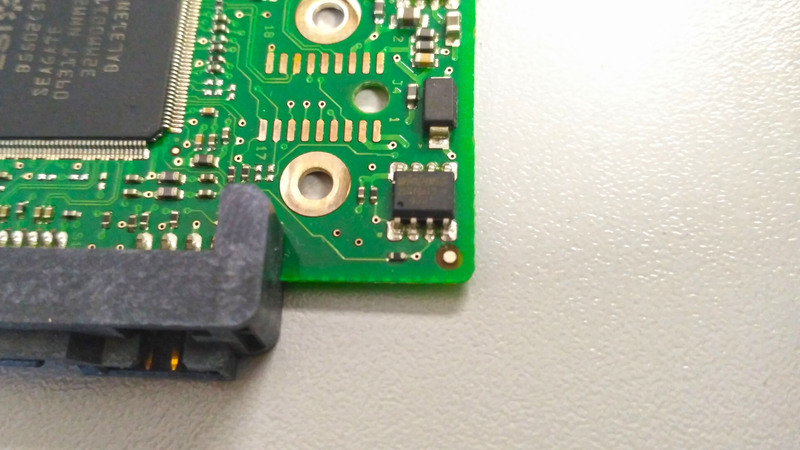 In some situation you need to unsolder the chip and use programmer device to read ROM content. In this tutorial we will show how to do it. 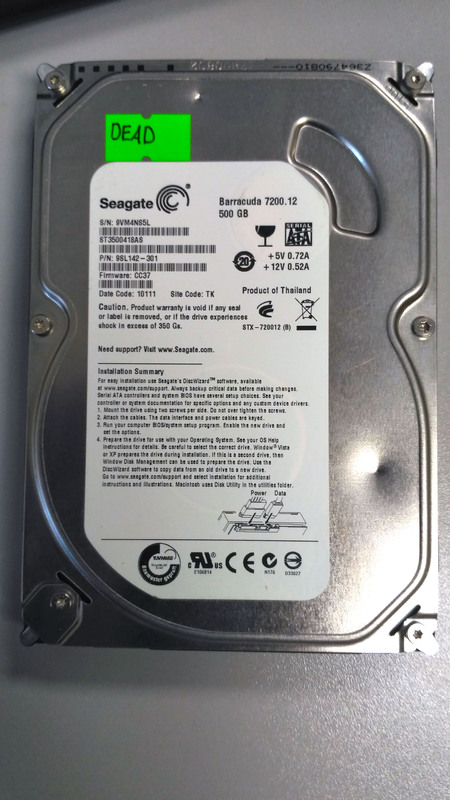 As an example let’s take Seagate ST3500418AS drive. 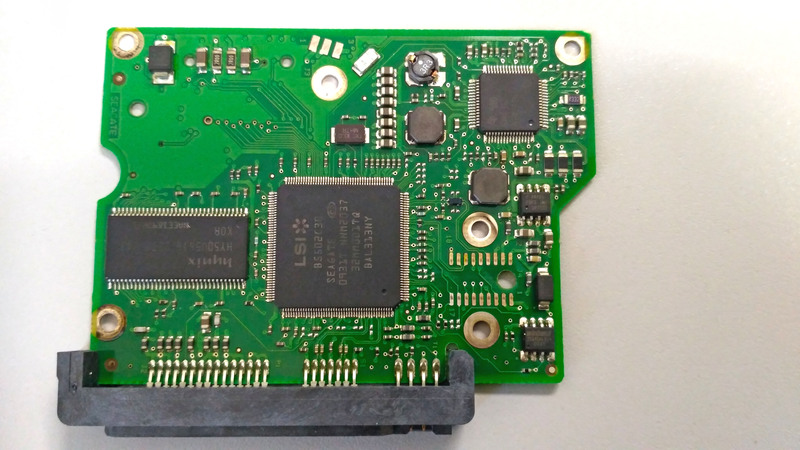 This drive is F3 family, so without original ROM data we will be unable to use donor PCB. Here is a ROM chip. It’s Winbond W25X40AL. 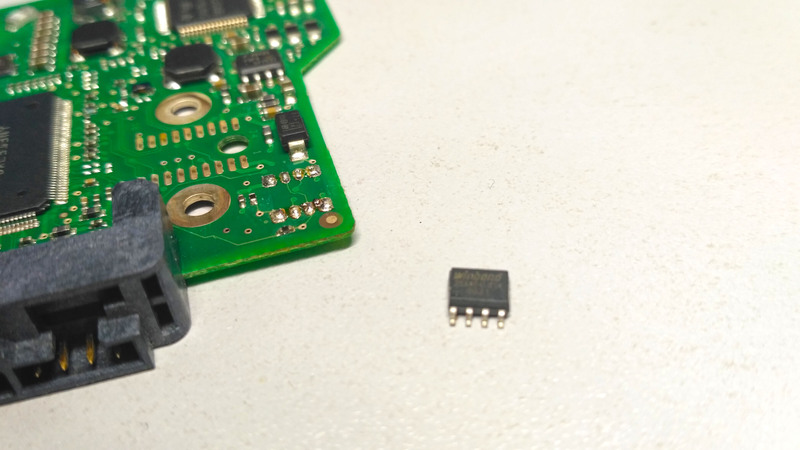 If you doubt which chip is ROM chip – typically ROM chip is 8 pin SOIC. 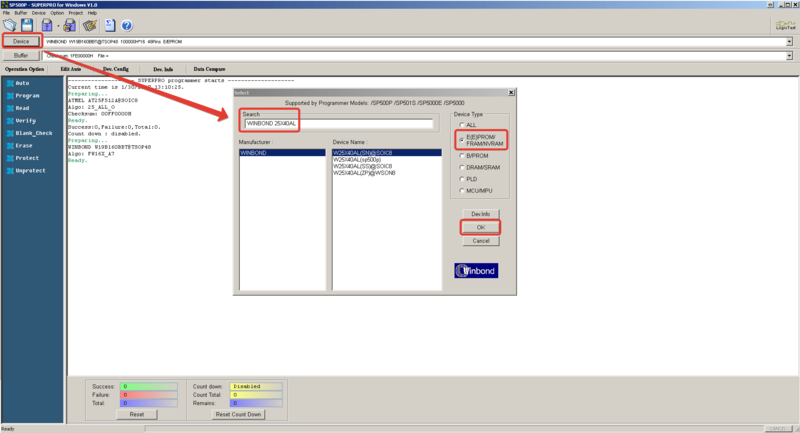 Also you can search datasheet by chip label. Now we need to insert chip into programmer device. 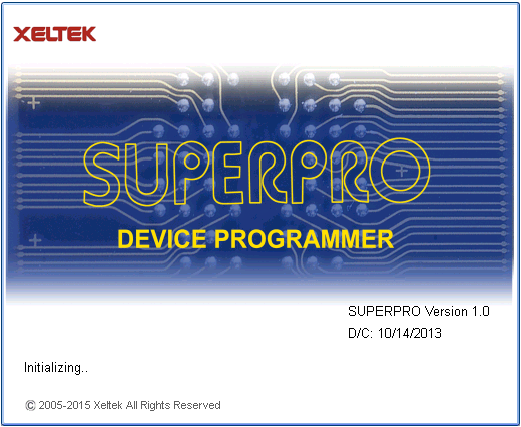 I used as programmer Xeltek SuperPro 500P with SOIC adapter. 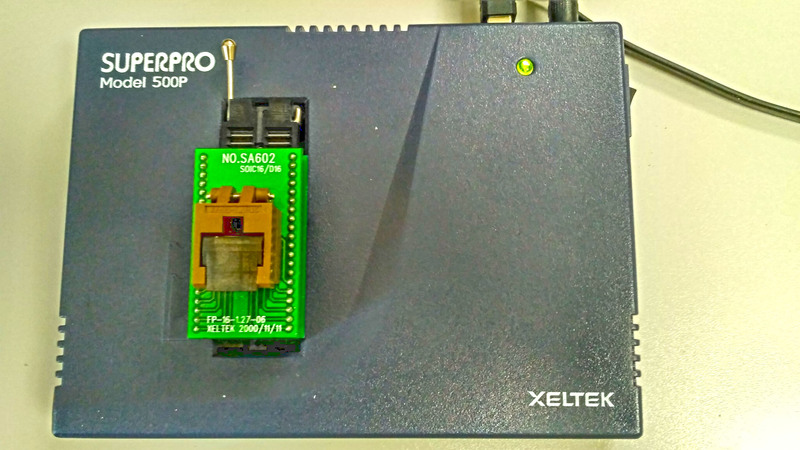 This model of programmer is not producting anymore from 2013 but it’s still a good device and suitable for reading most ROM chips that can be found on HDD PCB. 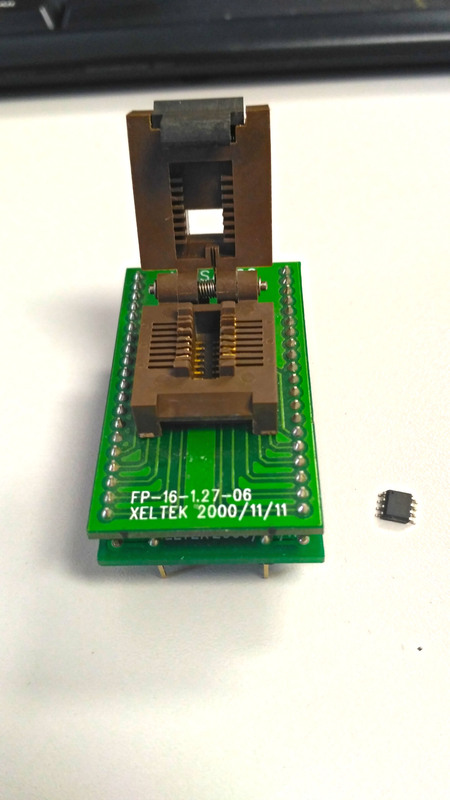 To read the chip we need to use SOIC adapter. Place the chip close to the bottom of the adapter, the key must be at the top left corner. Each chip can be placed differently so check the placement in programmer’s software. 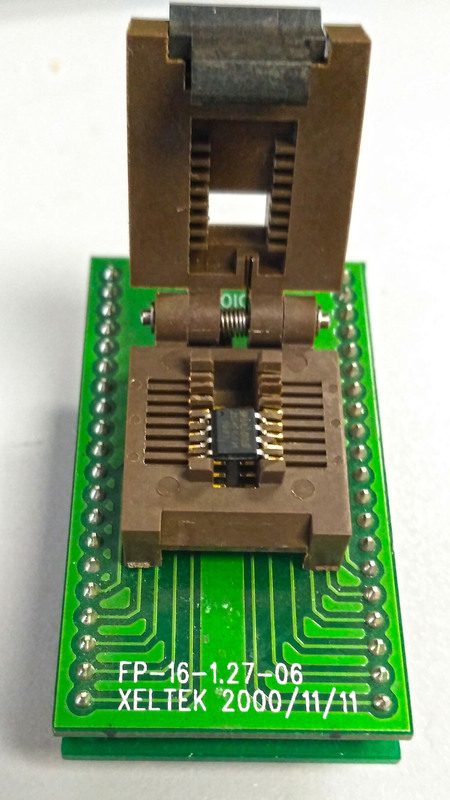 Now insert SOIC adapter into programmer, place it also on bottom of DIP panel. Now everything is ready for reading chip. You need to press Device tab, select your ROM chip and press OK.
You can check buffer to visually check that ROM was read. To save ROM content into file press Save file icon. 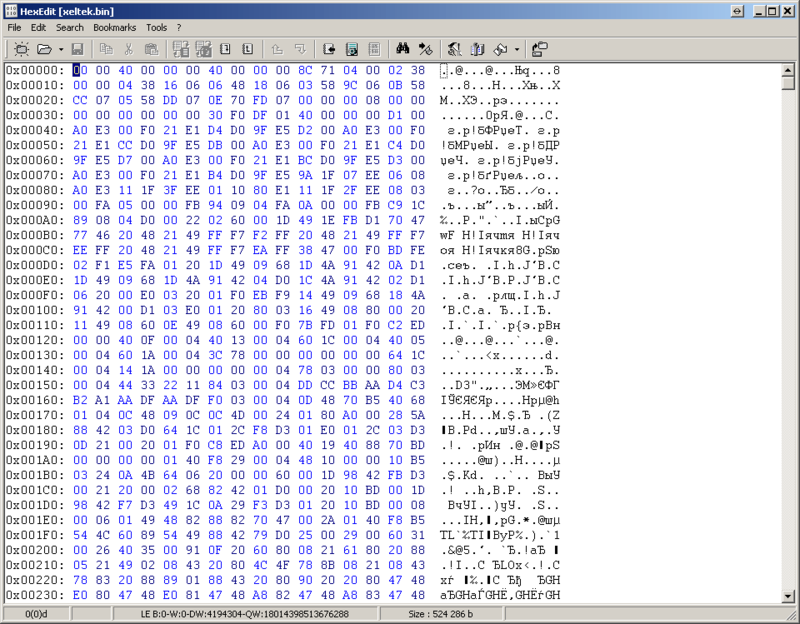 Select File type = Binary here. 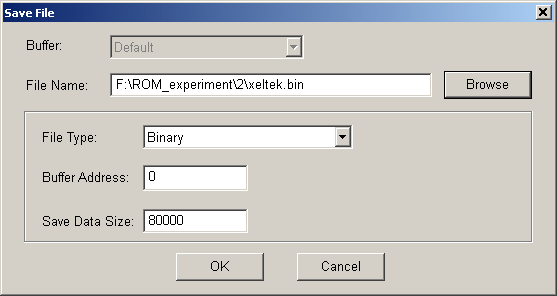 Now you can use resulting bin file for writing to donor board or open it in ACELab Hex Editor to make any changes or check for some information. Good luck in data recovery! Thanks To Ace Team for supporting and sharing out of Ace Tool portion. Very nice, How can do the same for toshiba hard drives? Toshiba ROM chip reading procedure approx. the same. Differences only on “device selection” step. 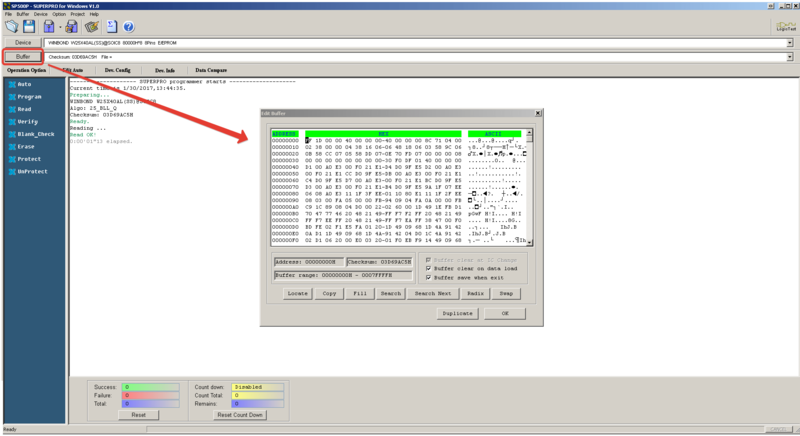 Compare marked text on your chip with supported chips in your programmer device and select needed. Would it be possible to read the ROM chip using the spider board? Or perhaps an idea for a future feature. 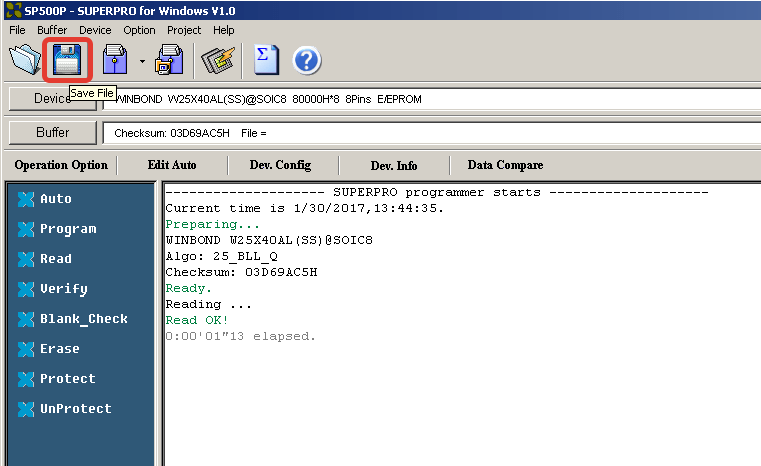 Spider Board is a tool which is working only in pair with PC3K Flash. 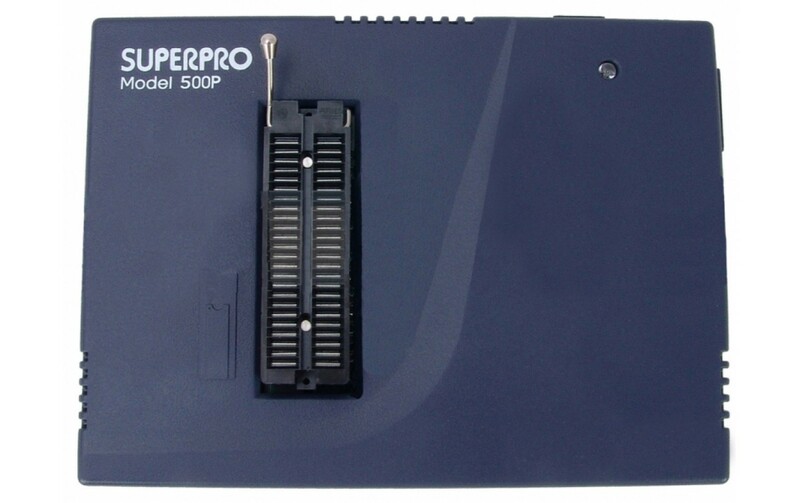 As we know, PC3K Flash support only ONFI certified chips, and all ROM are based not on NAND architecture but on NOR, which is required different algorithms of reading process. 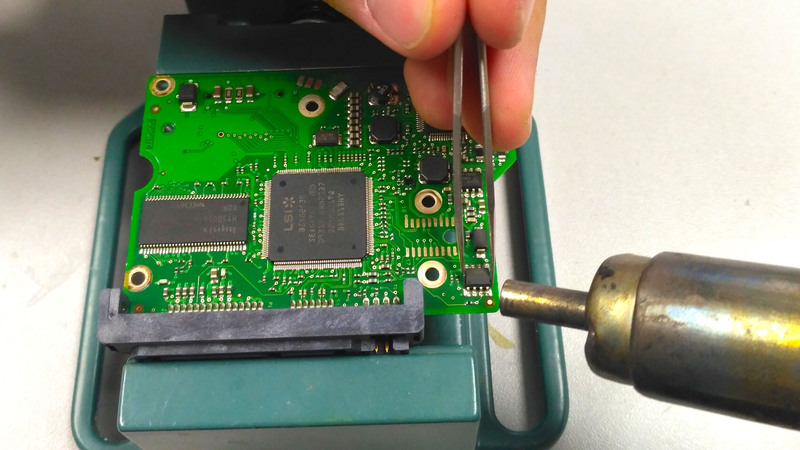 Spider Board is a perfect solution for Monolith, but if we are speaking about ROM chips reading – better to buy one of programmer tools which are described in article.